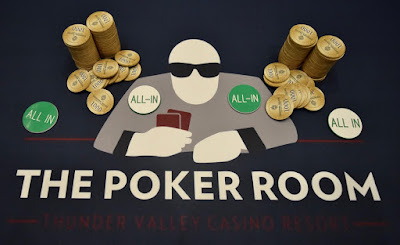 Paul Richardson - 5th in the first-ever WSOP Circuit Thunder_Valley Main Event last September has just been eliminated by Ivin Arquiza from the $702,280 prize pool WPTDeepStacks $1,100 Main Event. Richardson as the first player gather a 6-figure stack during Saturday's Day 1C play. He earns $1,925.